Dr.Avinash K. Nehra and associates in a review article published in Mayo Clinic Proceedings by title Proton Pump Inhibitors: Review of Emerging Concerns have outlined various deficiencies and diseases associated with long-term use of PPI. Proton pump inhibitors (PPIs) are among the most widely utilized medications worldwide, both in the ambulatory and inpatient clinical settings.Safety issues associated with proton pump inhibitors (PPIs) have recently attracted widespread media and lay attention and Gastroenterologists are frequently asked about the appropriateness of PPI therapy for specific patients. The authors have enumerated diseases in which association is likely causative ,in which association is unclear and in which association unlikely Causative and detailed them. 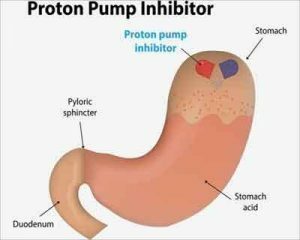 PPIs inhibit gastric acid secretion, and the most commonly associated adverse effects include abdominal pain, diarrhea, and headache. Although PPIs have had an encouraging safety profile, recent studies regarding the long-term use of PPI medications have noted potential adverse effects, including risk of fractures, pneumonia, Clostridium difficile diarrhea, hypomagnesemia, vitamin B12 deficiency, chronic kidney disease, and dementia. These emerging data have led to subsequent investigations to assess these potential risks in patients receiving long-term PPI therapy. However, most of the published evidence is inadequate to establish a definite association between PPI use and the risk for development of serious adverse effects. Hence, when clinically indicated, PPIs can be prescribed at the lowest effective dose for symptom control.